Syntax highlighting is available for a myriad of languages such as C#, HTML, Java, LaTeX, PHP, Python and Perl. A search tool is integrated in the word processing application, so that you can easily look for certain words. You can enable case sensitive, look only for matching words, and so on. Sublime Text has a good response time and minimal impact on system performance, using a very low amount of CPU and RAM. No error dialogs were shown in our tests, and the app did not hang or crash. 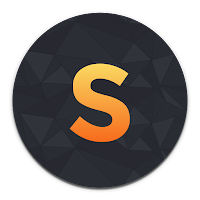 Thanks to its modern interface and myriad of advanced options, Sublime Text should please experienced users who are looking for an all-around text editor. To sum up, Sublime Text is easy to work with, as long as you happen to be an advanced user. The modern interface, powerful search capabilities and large numbers of options make this software utility a smart acquisition.